Maximum Horticulture 6 inch filters use activated Australian virgin charcoal to filter odors and particulates. When used together with a Maximum Horticulture 6 inch centrifugal fan any system can efficiently eliminate stink! 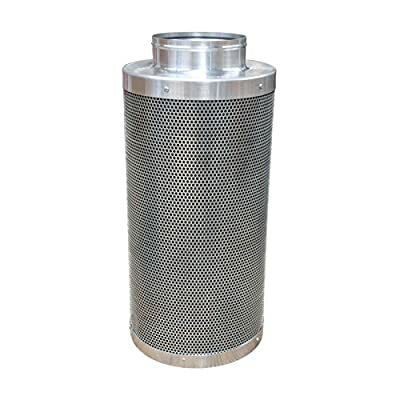 Removable flange allows reversal of filter to extend useful life. 20 inch length provides higher filtering area for more efficiency.